We are a small group of people who are keen to read and discuss ideas and theories on climate change, environment ( nature writing), other non human species (bees, birds, etc) contemporary politics and financial situation, new scientific theories/ideas in Anthropology, Biology, Archeology and some relevant memoirs. We are looking to make sense with others about what is happening to our world now and about what it means to be human. Do you love it when you read an idea and it makes your brain fizz a little. And do you like to care about the things you read. Do your choices have a resonance with your values but give you a dig to think a bit more. Are you happy to share the things that fired your imagination or anger or irritation. Come and join us, we need more people.We currently have a gender imbalance. PS We like books but we also like art and gardening and, oh yes, cake. Our planned read is Israel/Palestine 4,000 years history by Ian Carroll. We are having a late summer break and will return in November. 6th. Just kidding. Enjoy every moment of now. Braiding Sweet Grass was a wonderful book that we recommend to our Garden Group colleagues and our Science buffs. If we had an ecology group they would love it too. Our book for August 7th is The Inflamed Mind by Edward Bulmore. Our book for 3rd July is Braiding Sweet grass. Robin Wall Kimmerer. Join us. Adressing the factors that effect diversity and...I mean, AND HOW! Our May read on Artificial Intelligence was mind blowing. Did you know that youcan 3D print DNA! Our read for June will be The 6th Extinction by Elizabeth Kolbert. We liked the Steve Hilton book lots of analyses that we agreed with with interesting examples of both good and bad practice. The occlusion could have focused more on future strategy. ...oh well. Our book for 8th May is ' Life 3.0 Being Human in the Age of Artificial Intelligence '.Max Teg mark. Not a popular read. We felt that this book written by a man with early Alzheimer's didn't help us to understand the condition. Nontheless it provoked questions and thoughts and our own exchange of stories. The book for April 3rd is 'More Human' by Steve Hilton. Designing a world where people come first. If you would like join us we would really pleased. Our neXT book is 'Walk the Walk. Talk the Talk.' By Keith Oliver. Altzeimers disease. Next meeting March 6th. Make this your first read of the new year. 'THE TEN TYPES OF MEN. by D.Dias. Read along or join us the first Tuesday in February. Email me for details. December's meeting was helped along with tea and 'wartime cake'. See what you're missing? We needed sustanance after reading the 700 page 'Capital'by Thomas Piketty. Actually, for a book on economics it's a good read. Next months meeting will be on the second Tuesday of the month. A very merry Christmas to you all. November's meeting will be on the 7th. This would be a good time to join us as we are having a 'bring your good news' session. No set book just positive ideas and projects in the world.Join us with your snippets. Octobers' meeting. ' The shock of the Anthropocene ' Read this book. If you get no further than page 12 it will still be worth the money. We read Yanis Varoufakis' account of austerity and economics in Europe. If you remember he was the Greek Finance minister he fought the EU so passionately. In this book he explains that because ethical values don't drive or underlying economic strategy smaller countries are .................fill in the blank your own way or read the book. For October's book I tried to find a good and happy book, but after being tempted by Buddhism or self help books, and distracted by 'how to read water', I have selected ' The shock of the Anthropocene '.the earth, history and us. We have had to change the date of the September meeting to the 12th. I have circulated the address and directions to existing members. Would prospective members email me please.. Please note that our meeting day has altered to Tuesday afternoons.Next meeting will be delayed. I will post new date in a day or so. Apologies. When I was little and shown a world map and told that Britain owned all the pink countries I was very proud. Our May book, by an Indian writer, tells a very different story, of the East India Company and the British elite grabbing land and people and power and.......well,if you have any doubts you should read it. We have welcomed 2 new members to the group and it was very interesting to have other perspectives and knowledge when we discussed 'The Coming Anarchy' by Robert Kaplan. Written 20 years ago, foretelling what may happen as we go forwards it identified new causes of wars, questioned democracy, and discussed how new alliances would come about. We enjoyed both books. Our next is 'The selfish Gene' Richard Dorking which we will discuss July 5th. So, we usually choose a book that we all then read, but sometimes we have selected a topic. Nutrition and Health was a big topic and I selected the impact of nutrition on the development and management of Alzheimer's. Boy did I fry my brain, with video from TED, articles from Google scholar, and a whole lot of online argument. We knew from reading 'Life's Engines' that the answers were bound to be complex, but boy oh boy! We deserved an easier ride so the last book was 'Prisoners of Geography' 10 maps that author Tim Marshall uses to explain the geophysical factors behind war and peace. Mary Watkins is the new group leader, having taken over from Helene Fletcher. We meet on the first Wednesday of the month if possible at Amanda's cafe shop, Home Front from 1.30pm till 3.30pm. We are now four ( all women) in the group and would welcome new members. We have been reading about capitalism, climate change, the importance of trees and neo liberalism. Our next meeting is on Wednesday 3rd August at one of our member's house ( contact me if you are interested in coming). We we will be reading a book of our personal choice on immigration. The following meeting will be on the 7th September in Lostwithiel from 1 till 2.30pm (book not decided yet). "Ann, Judy and myself met for the second time on Wednesday 2nd March. Our book "Postcapitalism" by Paul Mason has proven to be quite demanding. Some of the concepts were difficult to grasp and its historical scope is vast but I found reading it rather exhilarating. It helped me also to clarify some of my personal political experiences. We decided to come back to it for our April reading." 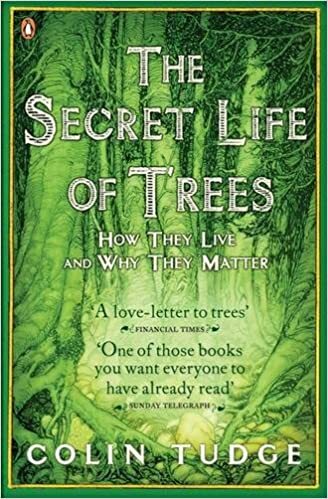 This month we decided for some change of subject and are reading "The Secret Life of Trees: how they live and why they matter" by Colin Tudge. Our next meeting will be on 6th April at 1pm at the Community Centre cafe. We are still looking forward to meeting new members. The title of the book we are reading this month is "Atmosphere of Hope" by Tim Flannery. New people are invited to read the book and join us. Some members of the group will be at the "Open Morning" on Saturday 13th February in the Church Rooms. Come along and meet us.